1. When attending a networking event, avoid gravitating towards your friends and the people that you already know well. First and foremost, greet and thank the event host, then head out and find somebody new to introduce yourself to. 2. Keep your business cards in a place where they are easily accessible and can remain in good condition, like your shirt pocket or the outside pocket of your purse. If wearing a plastic name badge, you can always tuck some cards in it behind your name tag. 3. Always have one hand readily available to shake hands with people. Avoid eating and drinking at the same time. After all, you’re there to network—not eat! 4. When somebody hands you his or her business card, take the time to write some notes on it, such as the date and place where you met and something you learned from conversing with that particular person. You can do this at the end of the event, but be sure to do it quickly while the information is fresh in your mind. 5. If you are speaking with someone you just met, try to use his or her first name two to three times during the course of your conversation. Doing this will help you remember the name later on. 6. At any event, the best places to network are the high-traffic areas such as the main door, by the food, or at the bar. 7. Initiate a conversation with somebody who is standing alone. He or she will be grateful to have someone to talk to, and will likely open up to you more. 8. Stop selling! If you are meeting someone for the first time, don’t attempt to sell him or her your service or product. Instead, first focus on establishing rapport. 9. Refrain from talking all about yourself—even if you’ve got a lot to say. Instead, use the time to ask questions and get to know the other person better. You’d be surprised at how much you could learn! 10. The real work begins after a networking event. Take action within 48 hours of meeting a person. Send out an email if you said you would. If you said you would call someone to schedule a meeting, then call and schedule the meeting. Networking has always been an integral part of the business scene and can play a critical role in your business marketing strategy since it is such an easy way to introduce others to your business. It may take some practice before you feel completely comfortable, but take these tips into consideration and soon you’ll be able to network successfully at any event! And when we say “VALUE”, we mean “VALUE”! 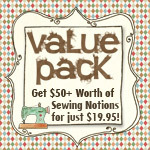 $50.00 worth of retail sewing notion packs for $19.95 plus shipping!! These value packs contain all new “off the shelf” interfacings, elastics (waistband elastic, buttonhole elastic, lingerie elastic, pajama elastic, etc), hand sewing needles, Schmitz sewing machine needles, thread clipping scissors, pins and pin cushions, tracing wheels, bobbins, spools of thread, and much more. You can read about the value packs and place your order at PatternsThatFitYou.com OR you can give us a call at 850-944-7570. Each value pack has a different assortment of notions. 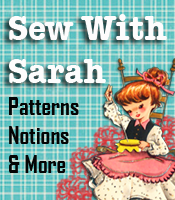 These make great gifts for someone learning how to sew or just to add a few things to your own sewing room. Order now while supplies last.